At the Agora in Torino, a new Caucasus Project Team has been formed, a new EWWG Board has been elected, and the Twin Antennae project was presented to the plenary. See the minutes section to read more. During the Agora in Torino, workshops will be organised on the Twin antennae and Caucasus project. Basak, Nino and Theijs organised a succesfull workshop at the Planning Meeting in Aachen. "How to overcome the barriers between East and West?" Apply now! Interested? Please send an email to risana@yandex.ru. -After 7(!) years, the website has been updated. -40 interested AEGEE members from the workshop are added to the EWWG mailinglist. -EWWG has its revival, but needs for this a new board as well to coordinate the activities. Are you interested in becoming active on a European level? Please send an email to risana@yandex.ru. 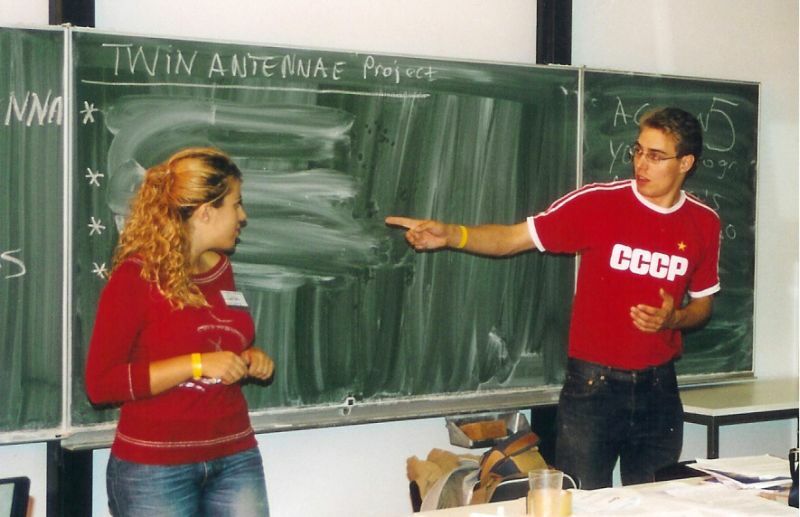 At the Spring Agora 2004, a workshop to brainstorm about the future activities was organised. If you are interested, or want to get active in EWWG, don't pass the minutes of this workshop, they are now aviable.